Largely autobiographical, this is a book about an unusual life. 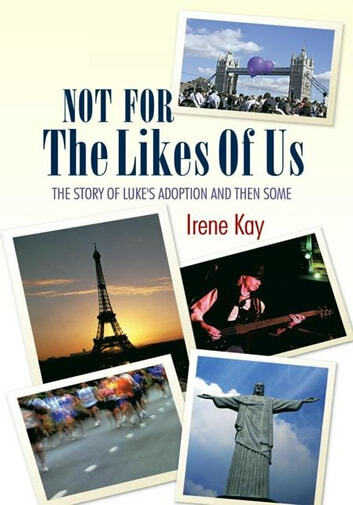 It begins and ends with Luke, the author's son, adopted in Brazil in 1976. It addresses the distressing process of sub-fertility and the difficult and frustrating process of adoption in the UK and follows the author's journey to Brazil and the subsequent and distinctly illegal adoption of her son Luke. It covers the instant motherhood experienced by the adoptive parent and the touching moment of bonding with the baby. It then goes back in time and traces the author's working-class background and growing up in South East London during the war and evacuation. The subsequent breakdown of her marriage to her French husband, coping with single parenthood, alcoholism and the re-shaping of her life constitutes a major part of this book. In 1982, whilst living on a houseboat on the Thames with her son Luke, she followed a full-time Bachelor of Arts degree at Kingston Polytechnic. Island life on a houseboat at Hampton Court is fully explored and it was during these years that she met her current partner, professional musician Tony Bell. In 1998, they retired from London and led an idyllic life in the South of France until 2002 when she discovered a lump in her right breast. Eight years later following radiotherapy, surgery and anti-cancer medication, she is apparently cured. The final part of this book is 'Luke's story'; how he coped with the knowledge that he was an adopted third-world child, the breakdown of his parent's marriage and their subsequent divorce and his mother's cancer.